A one-year 'flextension' to Brexit is expected to be suggested as a way forward for the UK's plans for leaving the EU. EU officials are reportedly considering offering the PM a flexible extension - or "flextension" - to the Article 50 timetable. It would see the UK given a one-year extension to Article 50, which could be cut short if a deal is reached earlier. This would prevent the Prime Minister continually having to apply for short-term extensions if no deal can be reached sooner. European Council president Donald Tusk is preparing to put the option to EU leaders at a crunch summit next Wednesday in a bid to prevent the UK crashing out of the bloc on April 12, according to the BBC. 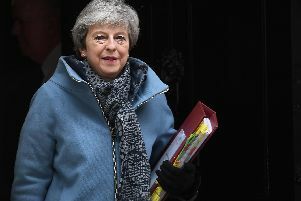 Referring to the Bill's impact on a no-deal option, the Attorney General told the BBC: "It rules it out... the Prime Minister would have little choice but to accept the extension that she's offered." He said: "The problem, then, would be that we would be in an extension. It's likely to be a long one, by which I mean longer than just a few weeks or months." 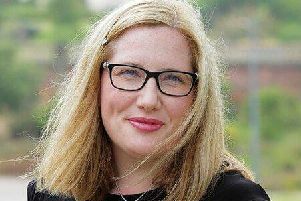 Ms McDonagh told the BBC: "There is going to be outrage if we don't get a second vote. "Would it be the thing that made me leave the party? I don't think so, there are other issues for me. "But, would it make some of my colleagues in the parliamentary Labour Party? Yes, a number have said to me that would be the moment that they would leave." Mrs May will be expected to spell out the UK's plans in a letter to Mr Tusk in sufficient time for the other 27 leaders to consider them before they gather in Brussels for the summit. Talks between the Government and Labour lasted four and a half hours on Thursday.